Click here to sign up for a Life Group today!! Children will be learning to list the books of the Bible, chapters of Psalms and Proverbs through songs, games and dictation. While in an atmosphere of fun, the children will be able to challenge themselves to memorize and be able to relay foundational truths found in the gospel. Introducing youth and curious adults to the wonders of Culinary arts! Chefs will learn basic food and kitchen safety, knife skills, nutrition, how to prepare healthy snacks, food pairings and more! 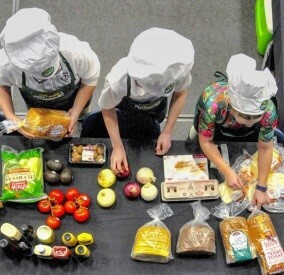 Chefs will complete the course having earned their food handlers certificate. Learn to increase financial awareness through sound Biblical and practical principles. 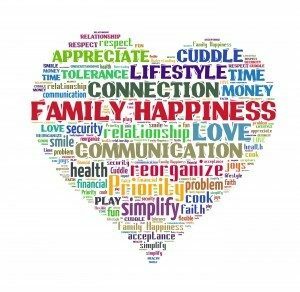 Put into practice tangible steps of financial stewardship while focusing on who we must become rather than what we must obtain. 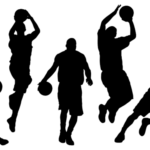 The basketball clinic will incorporate ball handling, passing and shooting form that involves game play through Christ centered instruction in a safe and healthy environment. Advanced players will focus on decision making skills. 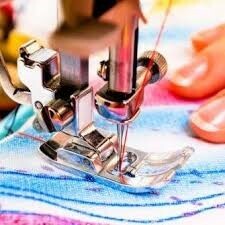 11471 E. Loop 1604 N.
Basic sewing class where you will learn to thread the machine and other aspects of sewing. The goal is to get creativity going to come together with different ideas. Supplies: Participants must bring sewing machine. 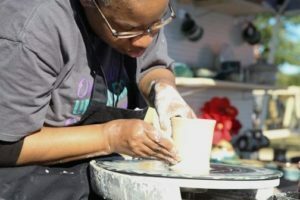 These hand-building, wheel throwing & glazing sessions are designed to be joyous and a relaxing endeavor. We will incorporate slab building, coil and pinch methods of clay sculptural techniques to produce one-of-a-kind keepsakes. Basic woodworking with hands-on projects to build your confidence and skills. You will explore the building blocks of all future DIY projects. Supplies: Vary per project, but some supplies will be provided. This class will be teaching the basics of beginning flute and saxophone. It will include maintenance, assembly, theory and reading of music and more. By the end of this class, you will be able to play melodies and songs. To encourage believers to write articles, books, or any piece of literature as avenues for sharing the Word of God consistent with Matthew 28:19-20 and pursuant to Acts 2:28.